The race for survival comes to a thrilling close in the earth-shattering conclusion to Veronica Rossi's New York Times bestselling Under the Never Sky trilogy. Their love and their leadership have been tested. Now it's time for Perry and Aria to unite the Dwellers and the Outsiders in one last desperate attempt to find the fabled Still Blue and bring balance to their world. Perfect for fans of the Hunger Games and Divergent series, Veronica Rossi's trilogy has been called "inspired, offbeat, and mesmerizing" (Kirkus Reviews, starred review) and "incredibly original" (Seventeen.com). 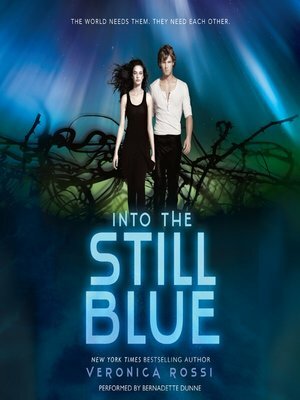 Brimming with romance and danger and building to a climax that will leave you breathless, Into the Still Blue brings this "masterpiece" trilogy to an unforgettable close (Examiner.com).